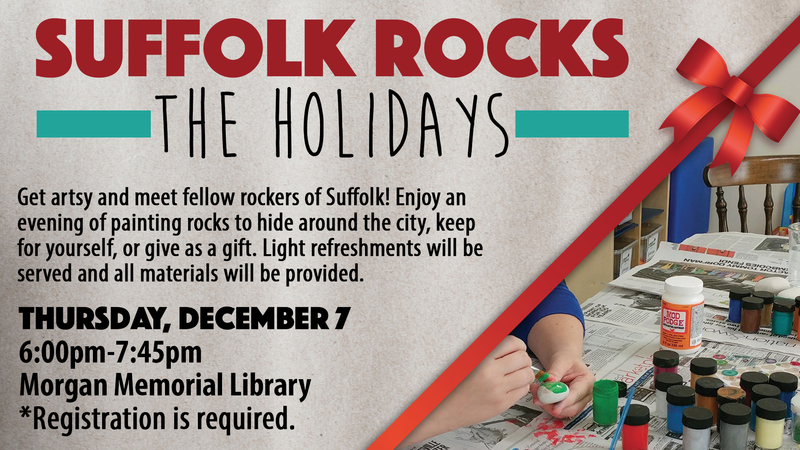 An evening of rock painting at the Suffolk Public Library. Light refreshments will be served and all materials provided. Come get artsy with us and meet fellow rockers of Suffolk!